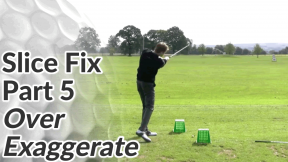 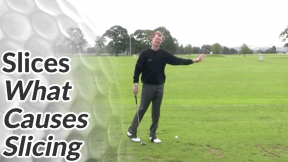 This golf drill helps you to eliminate slice shots by promoting proper release of the hands through the ball. 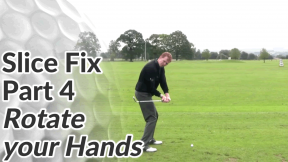 A good in-to-out swing path, combined with proper release of the hands (which is what the video drill below covers) will get you hitting the golf ball consistently straight, or even with a gentle draw. 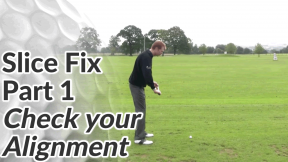 Take your normal set up to the ball, and then stand up straight holding the club out in front of your chest as though you were about to swing a baseball bat. 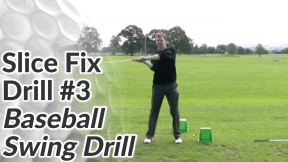 Swing the club around your body on a horizontal plane (i.e. 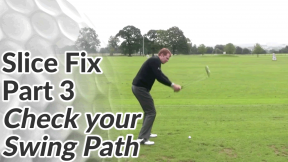 keeping the club parallel to the ground). 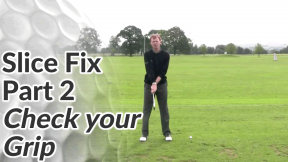 As the club comes back in front of your body to an imaginary impact position, take note of the club face angle. 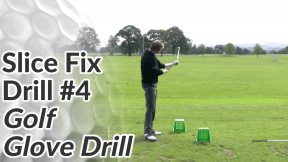 The club face should be vertical and the toe of the club pointing to the sky (see picture 2). 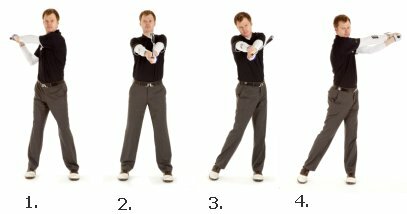 However, to cure your slice, try to over-exaggerate the rotation of your hands and apply the rotation earlier in the swing. 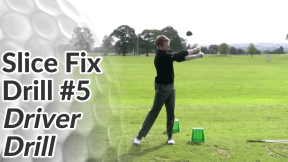 This should produce a club face which appears to be closed and aiming downwards (see picture 3). 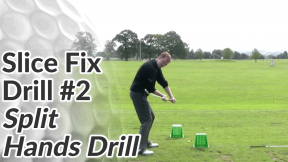 Repeat this action 20 times, gradually increasing the speed. 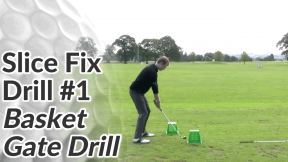 Then start to tilt at your hips until you feel the club brushing the floor in a normal golf swing type action – but still with plenty of early rotation.